Gbowee Peace Foundation Africa has sent 400 boxes of medical supplies from US-based MedShare valued at over $55,000 to Star of the Sea Clinic in West Point and Hope for Women International Clinic in Monrovia. The United Stated-based organization is supporting the work of 2011 Nobel Peace laureate Leymah Gbowee and head of Gbowee Peace Foundation Africa in order to kick the deadly ebola virus from Liberia. 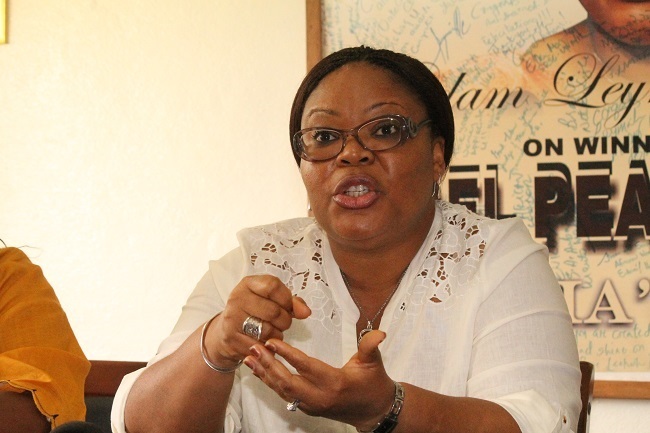 “As supplies and resources go to the treatment of Ebola, small clinics are not able to provide basic obstetric services and treatment for ailments like malaria, cholera and diarrhea,” explained Madam Gbowee. According to the World Health Organization, the death toll from the Ebola outbreak in West Africa now stands at more than 2,400 in Guinea, Sierra Leone and Liberia. Half of those deaths have been reported in Liberia. “MedShare is honored to partner with Madame Leymah Gbowee and Gbowee Peace Foundation Africa to help combat the spread of the Ebola virus in Liberia,” said MedShare CEO and President Charles Redding. The MedShare supplies, which arrived in Monrovia on August 27, were airlifted with support from several other nonprofit organizations through Airlink by ATX Air Services. With many carriers deciding not to fly into West Africa at this time, Airlink is the only way for many nonprofit organizations to deliver urgently needed humanitarian aid. ABOUT MEDSHARE Founded in Atlanta in 1998, MedShare collects essential, unused medical supplies and equipment and delivers them directly to underserved populations worldwide while lessening the impact on landfills in the U.S. With offices in the Atlanta, New York, and San Francisco metropolitan areas, its ultimate goal is to bridge the gap between surplus and need.